ZEELAND — When the Rev. Wenceslaus Katanga didn’t show up April 7 for Mass at St. Andrew’s Catholic Church in Zeeland, parishioners thought he was sick. The probe into the allegations against Katanga is still in its early stages, said Fargo police spokeswoman Jessica Schindeldecker. There is no timeline for when the case could be forwarded to the Cass County State's Attorney's Office for review. Criminal charges had not been filed as of Friday. It’s common for churchgoers to be shocked by misconduct allegations against priests because the accused is in a position of trust, said Taylor Stippel, an attorney for Jeff Anderson & Associates. The St. Paul, Minn., law firm has represented numerous victims in sexual misconduct cases involving clergy and has worked to force the church to release lists of accused priests. The safest way to prevent further harm against children is to remove an accused priest from contact with youth as quickly as possible, Stippel said. 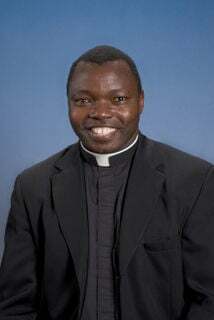 The Fargo Diocese learned of the investigation April 4, just days before it announced Katanga was placed on administrative leave, according to the diocese.